Over the past decade, China has firmly established itself as a pivotal strategic actor within the global economy, not least because of its $900 bn. Belt and Road Initiative (BRI). The construction of ports, roads, and railways across the entire Eurasian continental landmass intersects with the People Republic of China’s “Made in China 2025” initiative and the launch of the Asian Infrastructure Investment Bank (AIIB) in 2016. Together these projects allow China to set commercial standards as well as creating a parallel institutional structure to the Bretton Woods Institutions established at the end of the Second World War. International scrutiny of China’s political endeavours has largely focused on disputes over islands and freedom of navigation in the South- and East China Seas as well as China’s growing military presence in Africa. Beyond exerting its own political interests more boldly, China’s Communist Party (CCP) is seen to engage with governments that America and its European allies consider beyond the pale, often because of the human rights violations committed by such governments. Prime examples of such engagement include Xi Jinping’s warm relations with Sudan’s President Omar Hassan al-Bashir, who is wanted by an international arrest warrant, and the CCP’s close ties to the political and military leadership of Zimbabwe. What is becoming increasingly clear, however, is that China is now also emerging as a key normative actor in the global political sphere. As such, the CCP seeks to redefine the boundaries of legitimate state actions in its own interest. While China’s interests may align with most Western liberal democracies with respect to environmental issues and climate change, the CCP’s quest for normative leadership is a grave threat to the notion of universal human rights. 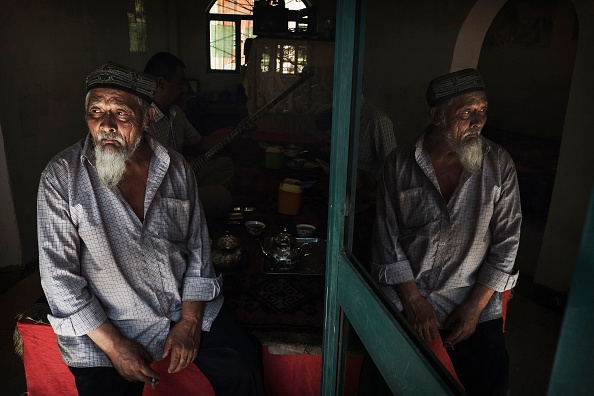 The Chinese state’s severe violations of its own citizens’ human rights are exemplified by its crackdown on its Uyghur Muslim minority, primarily resident in the Uyghur Autonomous Region of Xinjiang. In a time where American commitments to universalism and human rights are already fragile, the CCP’s crackdown is not just a human catastrophe for the more than ten million Uyghurs living in China, it is a threat to the survival of the principle of universal human rights. Beijing has turned Xinjiang into a security state that is extreme even by Chinese standards. Repression has been rife in Xinjiang for years, but has worsened in the past year. Such repression primarily targets Uyghurs and Kazakhs, who have linguistic and cultural ties to Turkey and the Middle East and are considered by Beijing to be a hindrance to the development of a ‘harmonious society.’ In addition to traditional coercive policing measures and a disproportionate military presence in the region, the police began to leverage digital surveillance technology to monitor almost all public and private activity. The commencement of such measures follows shortly after the installation in August 2016 of the hard-line Party Secretary Chen Quanguo, previously in charge of Tibet, in Xinjiang. Beijing puts extreme efforts to ensure ‘stability’ in Xinjiang by using a sophisticated high-tech surveillance system. Technology is used to scan the collected photos and videos in order to identify “dangerous” or “overtly religious” conduct. Moreover, the CCP is piloting a new ‘spy birds’ surveillance drone program in the Xinjiang region. The police also has access to the personal data of Uyghurs and Kazakhs through targeted monitoring of their mobile phones. The data is collated in an ‘integrated joint operations platform’ that stores data ranging from consumer habits to banking activity, health status and DNA profiles of all inhabitants of Xinjiang. These programs can, for example, match faces caught on surveillance cameras to a watch-list of suspects. They are the work of a state-run defence contractor that is developing software designed to help predict terrorist attacks before they occur. Even more devastating than the abovementioned surveillance policies is the construction and large-scale use of internment camps. Around one million people suspected of being ‘politically unreliable are sent for ‘re-education.’ Ostensibly, the detention camps promise ‘transformation through education’ or ‘counter-extremism education.’ However, witness testimonies suggest the prevalence of torture inside the camps. In addition, Muslims are forced to renounce Islam, drinking alcohol and eating pork. The detainees are kept at the facilities indefinitely, without any indictment, due process, or fair hearing. The CCP argues such measures are necessary given repeated eruptions of violence, which authorities blame on Islamic extremists and Middle Eastern influence but which activists believe are driven by the repression of the Uyghurs. Even those Uyghurs who have so far avoided detention are afraid of being outside. As Bernand Zand describes, the city of Kashgar in westernmost China feels like Baghdad after the war. The construction of a police state in the region since Chen Quanguo’s appointment drew little international attention until recently. While the international academic community made continuing efforts over the past few months to raise awareness of the on-going abuses in Xinjiang, media coverage of the plight of the Uyghurs significantly intensified after the UN voiced alarm over Chinese political camps last August, marking a welcome change. China’s mass detention of Uyghurs subsequently moved from a few timid lines to the front pages of major media all around the world. The information blockade by the Chinese State, however, still hinders international experts to report on the concrete situation in Xinjiang, as the CCP first denied the existence of such camps, and later, only acknowledged the existence of “re-education programs” in “vocational schools.” Meanwhile, journalist Megha Rajagopalan, famous for her extensive reporting on repression in Xinjiang, was compelled to leave China after Beijing refused to renew her visa, a situation also experienced by French correspondent Ursula Gauthier in late 2015 after she denounced the Chinese state’s treatment of its Muslim minorities. Reports have revealed that the Chinese state has extended the crackdown beyond its borders, using coercion and threats to silence the Uyghur diaspora. China notably refused to renew the passports of Uyghurs living overseas, and signed cooperation agreements with countries like Egypt and Saudi Arabia to arrest and deport recalcitrant Uyghurs. After Malaysia sent back eleven Uyghurs fleeing China via Thailand a few months ago, its new Prime Minister Mahathir bin Mohamed openly criticized China for its repressive policies. Fearing economic retaliation, Muslim countries involved in the BRI have been deafeningly silent over China’s crackdown on its Turkic Muslim community. Turkey also failed to address the issue, blocking media reports critical of China’s policies in Xinjiang. Protests have emerged in Pakistan and Kazakhstan, but overall the Uyghur crisis remains too contentious for many Muslim states unwilling to jeopardize their economic ties with China. Reactions from liberal democracies, on the other hand, were rather slow. A number of states raised the Xinjiang issue and asked for the end of illegal detentions at the UN Human Rights Council held in September. Most attention is henceforth directed toward Geneva where China will undergo its third Universal Periodic Review in November. While such economic incentives tempt even the world’s most resilient economies, the immediate benefits of Chinese foreign direct investment or market access often cloud the long term downsides of these arrangements, whether in the form of technology transfer to Chinese enterprises or dependency on Chinese capital. More importantly, by looking the other way when the Chinese state commits severe human rights abuses, China’s trading partners themselves contribute to the erosion of the de facto significance of universal rights. The world’s liberal democracies must unite in taking a principled approach against the mass observation and incarceration of Uyghurs in Xinjiang. If liberal democracies are serious about protecting the principle of universal human rights, they must factor human rights considerations into their trading arrangements with China. The authors of this article recognise the difficulties of implementing such policies, but submit that these steps are a price worth paying to protect one of the most important aspects of the post-World War Two consensus. A concrete step in this direction could take the form of targeted sanctions and travel restrictions on the individual CCP members involved in the autocracies. In fact, such sanctions are already being contemplated by the United States Congress under the Global Magnitsky Act. Tom Hancock, “China encircles the world with One Belt, One Road strategy,” The Financial Times, May 4, 2017, https://www.ft.com/content/0714074a-0334-11e7-aa5b-6bb07f5c8e12. Scott Kennedy, “Made in China 2025,”June 1, 2015, Center for Strategic & International Studies (CSIS), https://www.csis.org/analysis/made-china-2025. Salvatore Babones, “China's AIIB Expected To Lend $10-15B A Year, But Has Only Managed $4.4B In 2 Years,” Forbes, January 16, 2018, https://www.forbes.com/sites/salvatorebabones/2018/01/16/chinas-aiib-expected-to-lend-10-15b-a-year-but-has-only-managed-4-4b-in-2-years/#7aa129c837f1. See About the Bretton Woods Institutions, http://www.brettonwoods.org/page/about-the-bretton-woods-institutions. See Global Conflict Tracker, https://www.cfr.org/interactives/global-conflict-tracker#!/conflict/territorial-disputes-in-the-south-china-sea. Lina Benabdallah, “China-Africa military ties have deepened. Here are 4 things to know,” July 6, 2018, The Washington Post, https://www.washingtonpost.com/news/monkey-cage/wp/2018/07/06/china-africa-military-ties-have-deepened-here-are-4-things-to-know/?noredirect=on&utm_term=.9dee40eaeaca. Jake Rashbass, “Sudan's Bashir to visit China despite international arrest warrant,” Reuters, August 30, 2015, https://www.reuters.com/article/us-sudan-bashir-china/sudans-bashir-to-visit-china-despite-international-arrest-warrant-idUSKCN0QZ0P220150830. Vasabjit Banerjee and Timothy S. Rich, “Diamonds and the Crocodile: China’s Role in the Zimbabwe Coup,” The Diplomat, November 22, 2017, https://thediplomat.com/2017/11/diamonds-and-the-crocodile-chinas-role-in-the-zimbabwe-coup/. Edward Wong, “China Is a Climate Leader but Still Isn’t Doing Enough on Emissions, Report Says,” The New York Times, July 19, 2018, https://www.nytimes.com/2018/07/19/world/asia/china-climate-change-report.html. Keith Zhai and Edwin Chan, “China Uses Facial Recognition to Fence In Villagers in Far West,” Bloomberg News, January 17, 2018, https://www.bloomberg.com/news/articles/2018-01-17/china-said-to-test-facial recognition-fence-in-muslim-heavy-area. Sarah Cook, “China’s Ever-Expanding Surveillance State,” The Diplomat, April 25, 2018, https://thediplomat.com/2018/04/chinas-ever-expanding-surveillance-state/. Stephen Chen, “China takes surveillance to new heights with flock of robotic Doves, but do they come in peace?” South China Morning Post, June 24, 2018, https://www.scmp.com/news/china/society/article/2152027/china-takes-surveillance-new-heights-flock-robotic-doves-do-they. Matthew Brown, “China sparks human rights outcry by ramping up DNA testing in Muslim-dominated region,” The Independent, May 17, 2017, https://www.independent.co.uk/news/world/asia/china-expands-dna-testing-xinjiang-muslims-security-crackdown-human-rights-watch-a7739791.html. Tom Philips, “China testing facial-recognition surveillance system in Xinjiang – report,”The Guardian, June 18, 2018, https://www.theguardian.com/world/2018/jan/18/china-testing-facial-recognition-surveillance-system-in-xinjiang-report. Rian Thun, “China’s Mass Internment Camps Have No Clear End in Sight,” Foreign Policy, August 22, 2018, https://foreignpolicy.com/2018/08/22/chinas-mass-internment-camps-have-no-clear-end-in-sight/. Lucas Niewenhuis, “Re- Education Camps in China’s ‘No-Rights Zone’ for Muslims: What Everyone Needs to Know,” SupChina, August 22, 2018, https://supchina.com/2018/08/22/xinjiang-explainer-chinas-reeducation-camps-for-a-million-muslims/. Greey Shik and Dake Kang, “Muslim Forced To Drink Alcohol And Eat Pork In China’s ‘Re-Education’ Camps, For Met Inmate Claims,” The Independent, May 18, 2018, https://www.independent.co.uk/news/world/asia/china-re-education-muslims-ramadan-xinjiang-eat-pork-alcohol-communist-xi-jinping-a8357966.html. “Xinjiang attack: four ‘terrorists’ and one bystander killed, says China,” Reuters in Beijing, reported in The Guardian, December 29, 2016, https://www.theguardian.com/world/2016/dec/29/xinjiang-attack-four-terrorists-and-one-bystander-killed-says-china. Bernhard Zand, “A Surveillance State Unlike Any the World Has Ever Seen,” Spiegel Online, July 26, 2018, http://www.spiegel.de/international/world/china-s-xinjiang-province-a-surveillance-state-unlike-any-the-world-has-ever-seen-a-1220174.html. Linah Alsaafin, “Uyghurs Arrested in Egypt Face Unknown Fate,” Al Jazeera, July 27, 2017, https://www.aljazeera.com/indepth/features/2017/07/uighurs-arrested-egypt-face-unknown-fate-170721101113091.html. Samuel Ramani, “Iran’s Careful Approach to China’s Uyghur Crackdown,” The Diplomat, September 18, 2018, https://thediplomat.com/2018/09/irans-careful-approach-to-chinas-uyghur-crackdown/. Tugrul Keskin, “Uyghur Diaspora in Turkey, Current Conditions and Future Projections,” China and the Middle East Blog, January 5, 2017, http://chinaandthemiddleeast.blogspot.com/2017/01/a-new-article-uyghur-diaspora-in-turkey.html. Alexandra Ma, “Why the Muslim World isn’t Saying Anything about China’s Repression and ‘Cultural Cleansing’ of its Downtrodden Muslim Minority,” Business Insider, August 27, 2018, https://www.businessinsider.com/why-muslim-countries-arent-criticizing-china-uighur-repression-2018-8. Phillippe Le Corre, “Brexit: What’s Next for the China-UK Relationship?” Carnegie Endowment for International Peace, February 19, 2018, https://carnegieendowment.org/2018/02/19/brexit-what-s-next-for-china-uk-relationship-pub-75633. Helen Reid, “China Remains Germany’s Biggest Trading Partner in 2017,” Reuters, February 21, 2018, https://www.reuters.com/article/us-germany-economy-trade/china-remains-germanys-biggest-trading-partner-in-2017-idUSKCN1G5213. Shannon Tiezzi, “US Congress Members Want Sanctions on China Over Xinjiang Crackdown,” The Diplomat, August 30, 2018, https://thediplomat.com/2018/08/us-congress-members-want-sanctions-on-china-over-xinjiang-crackdown/.